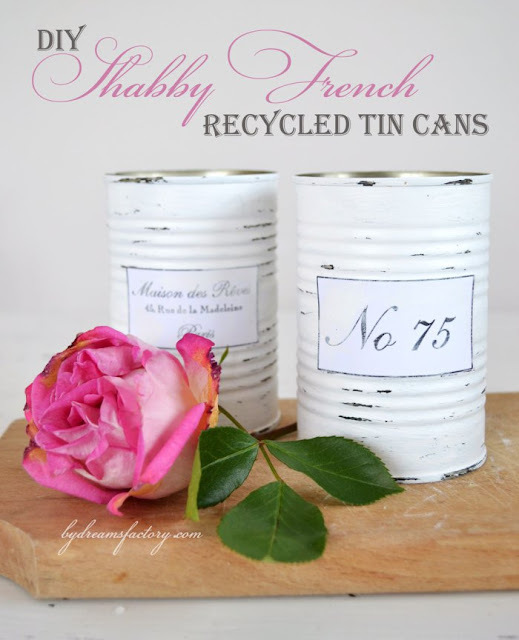 Elizabeth & Co.: Be Inspired Features and Party Wrap! Be Inspired Features and Party Wrap! After more than four years and 210 parties, it's time to call it a wrap! I'm guessing we've had somewhere in the neighborhood of 25,000 links and 2,000 features. I am so appreciative of each and every one of you who took the time to share, visit and comment. You are a constant source of inspiration! But life is busy and I need to focus my energy in other areas at the moment. Our Elizabeth & Co. Vintage Tag Sales have taken on a life of their own. My little Etsy Wreath Shop has wildly exceeded my expectations. And on a personal note, my family is growing and I am savoring every delightful moment! I'll still be keeping tabs on all my fabulously creative blogging friends and hopefully I'll get back to sharing more project posts again soon. Just imagine the possibilities with these sweet Shabby French Recycled Tin Cans from Diana at Dreams Factory! 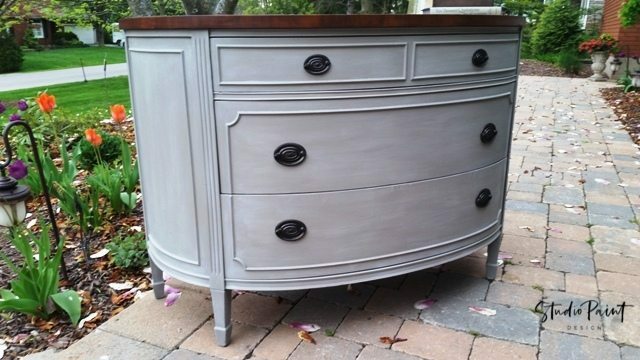 Don't you just love the curves on the beautiful dresser from Studio Paint Design! This charming little chair from Terry at The Curator's Collection has a wonderful aged finish and is just beautifully detailed! No one takes bits and pieces and puts them together like my friend Gail over at My Repurposed Life. 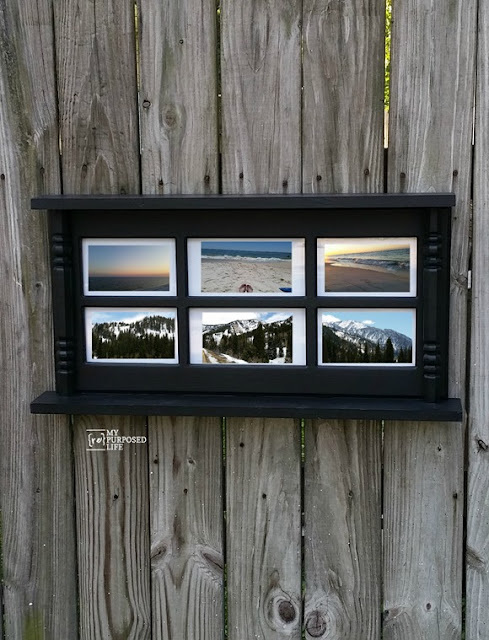 How cute is this photo display wall shelf! 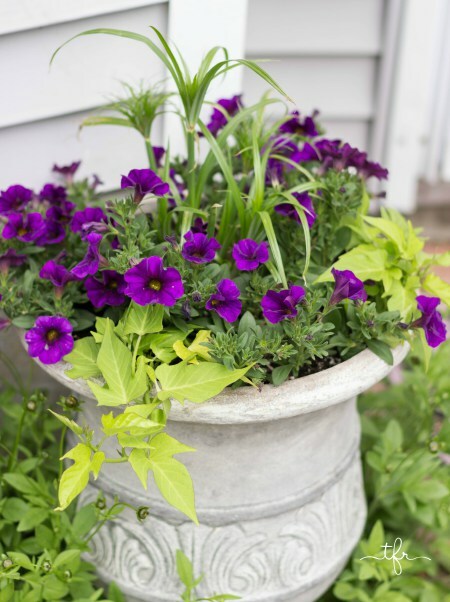 Dawn from Leroy Lime shared all the details on her pallet herb garden! 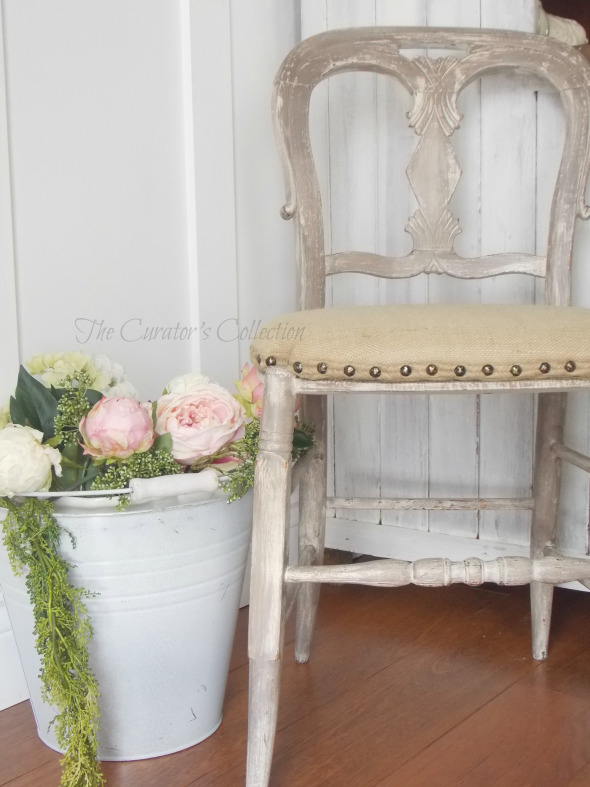 And head on over to The Freckled Rose for some beautiful garden inspiration! It's been a wonderful ride, Sharon, and I'll always have fond memories of your bog's parties. Thank you for being our hostess for so many fun years. I'm glad you're not ending your blog completely because, like me, you might feel the inspiration now and again to post something. If you do, I'll be happy to see you pop up on my bloglovin' and hear what's going on over here. Enjoy your tag sales, Etsy, and, of course the best, your wonderful family. Have a great summer! It's been a pleasure getting to know you and your lovely blog. Thanks for hosting this great party. congrats on all of your exciting changes! Ohhh...I will miss your party. I do hope you'll still be blogging and sharing your tag sales adventures. Thank you for all you've done and have a blessed summer. Oh it's so exciting that life is growing in good ways in other areas. I completely understand the need to cut back on things like the party. It's been so fun & I will miss the inspiration & your adventures. I'm going to miss your parties, Sharon. But life does have priorities and I wish you the very best with your shop! You deserve all the success you're receiving. Your work is dreamy beautiful. Thank you for sharing so much inspiration over the years. It's been such a pleasure! I've only discovered your party the last couple of months Sharon!! That is typically of me- always late to the party!! Thanks for featuring my Dresser on your lovely party.... will definitely miss it! I understand why you are closing up shop. I have been co-hosting Share Your Cup for less than 6 months and I am surprised at how much work it is. Enjoy spending the time you will gain. Always so fun to join in and see all the crafty amazing creations! 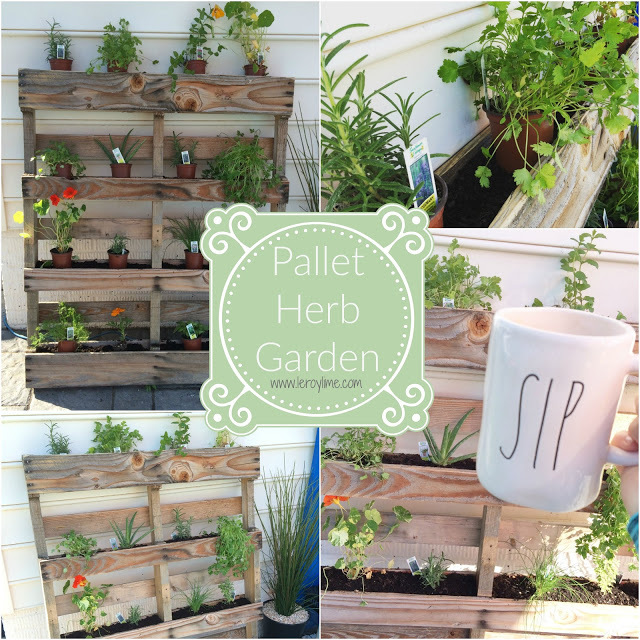 Thank you for featuring my pallet herb garden. I'm happy to say it still blooms and congrats on your family growth too!! Have a wonderful summer! awww how bittersweet to be feature in your LAST party! you are so right, I LOVE bits and pieces. I'll miss you party, it's the only one I link up to, so I suppose I'll need to find another one to visit. I'm happy that you've made this decision as hard as I know it was. So exciting to hear that your Etsy shop is doing well, we talked about it more than once, and I'm pleased as punch for you! I look forward to more project posts down the line, do NOT be a stranger Sharon! Best of luck to you with all of your other endeavors. Thanks for the great party every Tuesday! Wow, I can't believe how many parties you have had! I feel like we have grown up together, lol! Congratulations on all the exciting things in your family, your Etsy shop and your tag sale, being a big business now! Thanks a lot for hosting these parties all these years. I have not been a very regular visitor, but every now and then when I had the time I shared some of my blog posts here. Thanks for the opportunity you offered to so many to share their blogs. Good luck for the future! It's been a good run, Sharon, and you are definitely the hostess with the mostess. I'm just sorry that I've been MIA. I will continue to follow you and hopefully check in more than I have the last 6 months or so. I'm so excited to learn that your endeavors have done so well. I'm not surprised.